Behind Communism: Here is persuasive, unassailable proof that it was Jewish revolutionaries who invented and supervised the horrors and ravages of Communist totalitarianism. Karl Marx, a Zionist Jew, was inspired by Moses Hess, a Zionist Jew, to formulate the dogma of the Communism system. Then, Lenin, a Zionist Jew, teamed up with Trotsky, a Zionist Jew, and other Illuminati, Zionist Jews to seize the Russian Empire and turn it into a massive, bloody, killing and torture factory rivaling anything George Orwell (1984) could have ever conceived. 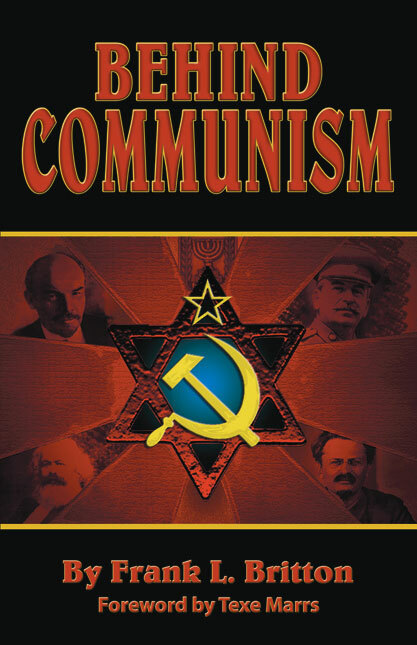 In this groundbreaking book, you will be shocked to discover what and who is BEHIND COMMUNISM.